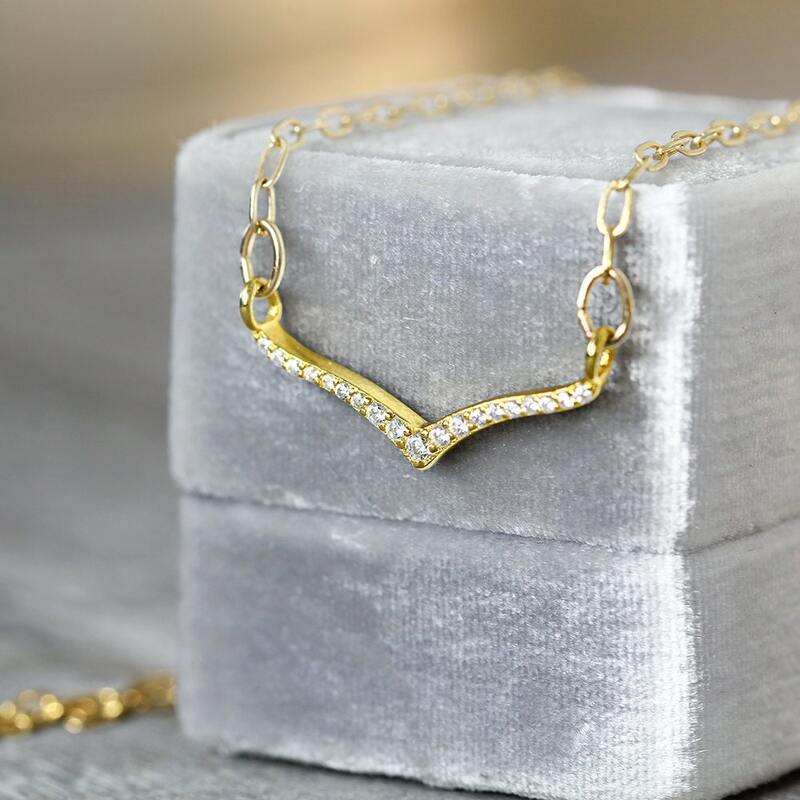 This gorgeous cubic zirconia wishbone necklace is perfectly minimal and stylish, and will bring easy elegance to everyday, evenings out or special occasions. 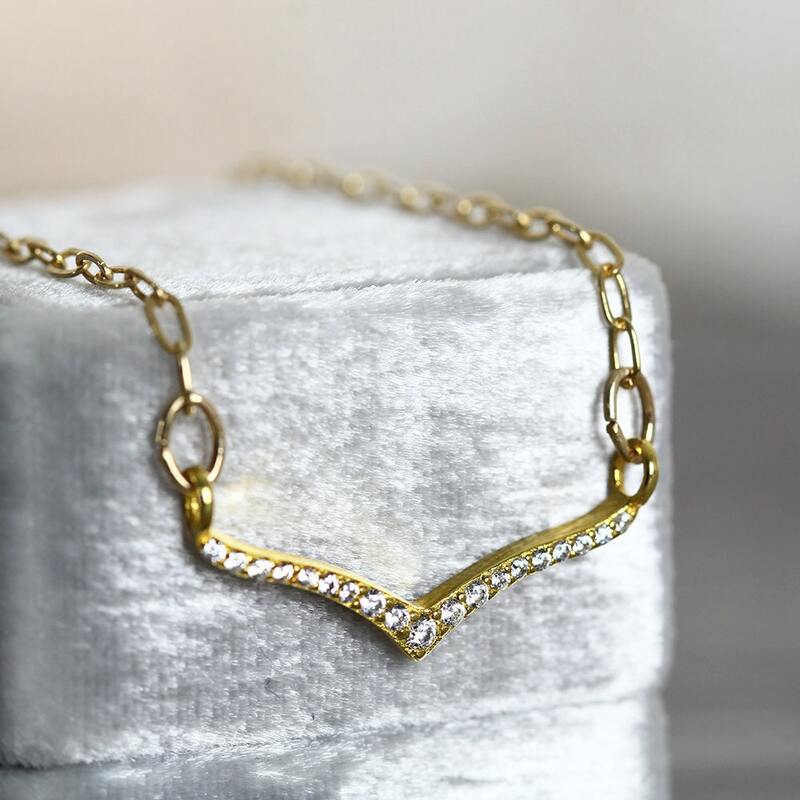 This dainty gold necklace is simply beautiful worn alone, but also looks fantastic worn layered with other pieces. Are you unsure how to put the layered look together and make it work for you? 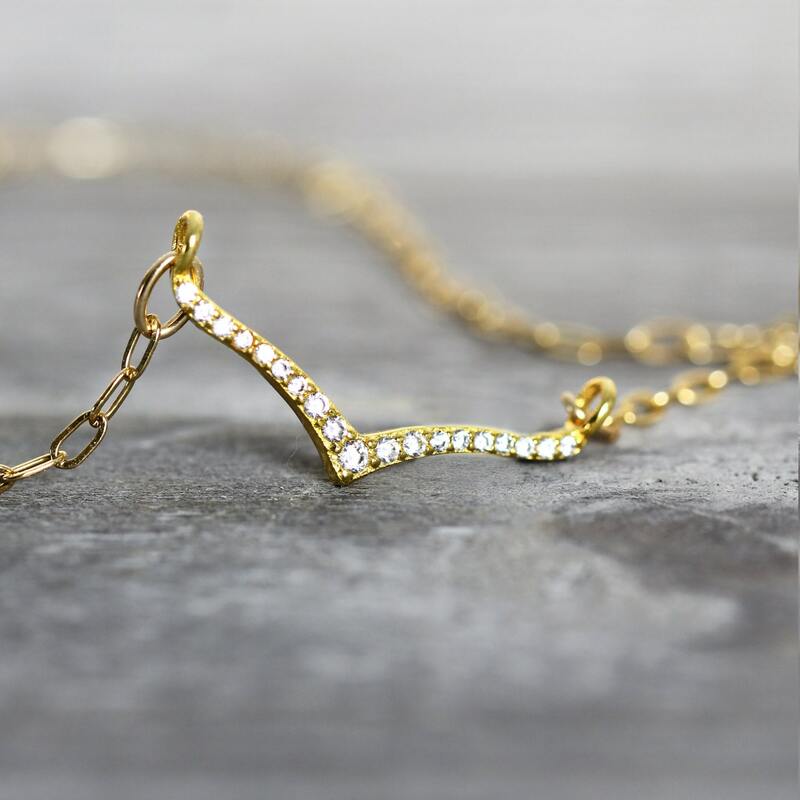 If so, then this versatile necklace can take all the guess work out of layering for you - just mix and match to create the look you want. Wear it alone for ultimate simplicity, pair two together, or throw more on for the full draped effect! 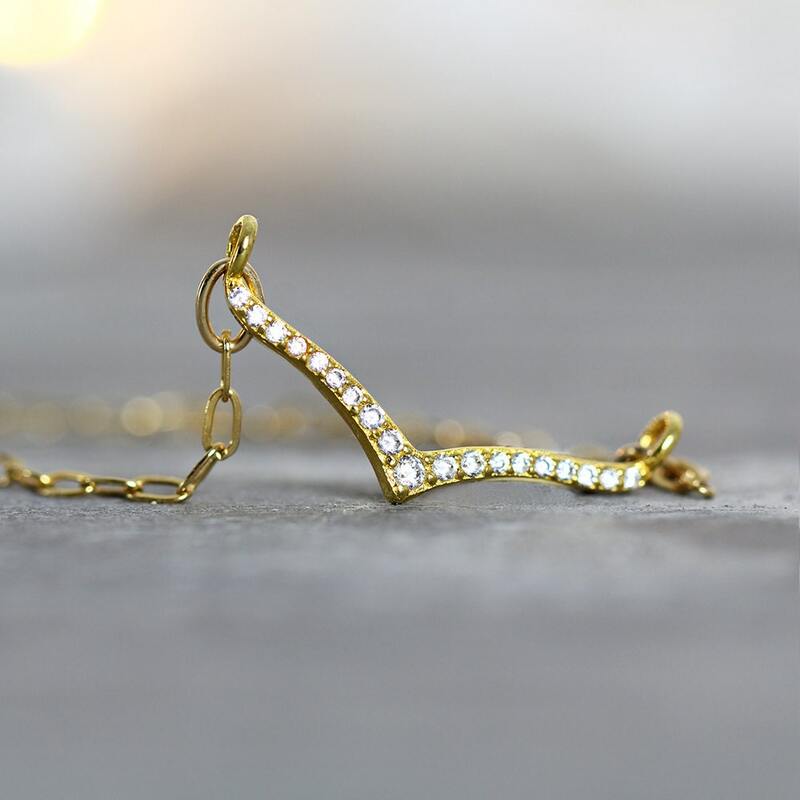 Sparkling little Cubic Zirconia's twinkle in their delicate gold-plated wishbone setting, hanging from a 14k Gold Fill necklace. 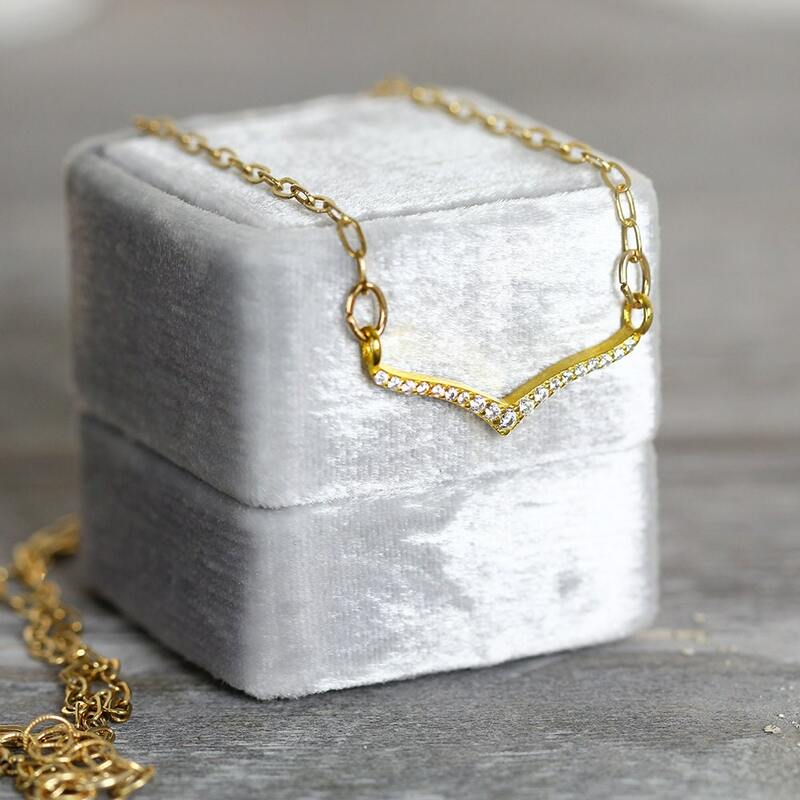 'Gold fill' is also known as rolled gold, and is second only in quality to pure gold (gold fill contains pure gold throughout it's composition - it is not a plated finish and therefore will not rub off over time). The chain is a gorgeous 'drawn cable' chain link and is 14.5 inches | 36.5 cm which is a short, choker length. I have made it this way as the style works particularly well as the shortest necklace in a layered look. To give you more options for switching up the length, you can also choose to add an extender chain in the drop-down menu. ON SALE - last few left.